1.What is the difference between white box, black box, and gray box testing? There is one more type of testing called gray box testing. In this we look into the "box" being tested just long enough to understand how it has been implemented. Then we close up the box and use our knowledge to choose more effective black box tests. 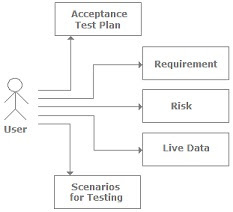 The above figure shows how both types of testers view an accounting application during testing. 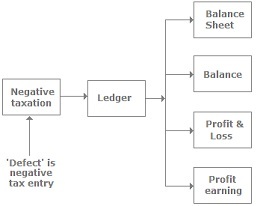 Black box testers view the basic accounting application. While during white box testing the tester knows the internal structure of the application. In most scenarios white box testing is done by developers as they know the internals of the application. In black box testing we check the overall functionality of the application while in white box testing we do code reviews, view the architecture, remove bad code practices, and do component level testing. 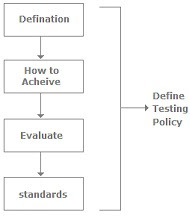 2.How do you define a testing policy? 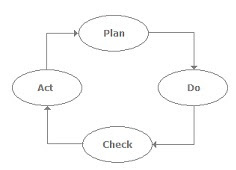 3.Can you explain the PDCA cycle and where testing fits in? 4.What basis is the acceptance plan prepared? 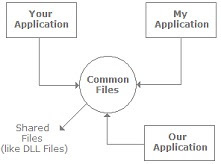 In any project the acceptance document is normally prepared using the following inputs. This can vary from company to company and from project to project. Requirement document: This document specifies what exactly is needed in the project from the customers perspective. Input from customer: This can be discussions, informal talks, emails, etc. 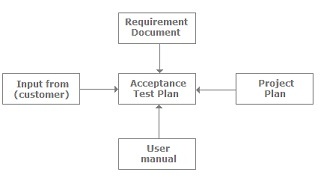 The following diagram shows the most common inputs used to prepare acceptance test plans. 5.Can you explain usability testing? 6.Which is the best testing model? 7.What is the difference between a defect and a failure? Configuration management is the detailed recording and updating of information for hardware and software components. When we say components we not only mean source code. It can be tracking of changes for software documents such as requirement, design, test cases, etc. When changes are done in adhoc and in an uncontrolled manner chaotic situations can arise and more defects injected. So whenever changes are done it should be done in a controlled fashion and with proper versioning. At any moment of time we should be able to revert back to the old version. The main intention of configuration management is to track our changes if we have issues with the current system. Configuration management is done using baselines. 9.What are the categories of defects? 10.How does a coverage tool work? 11.Which is the best testing model? 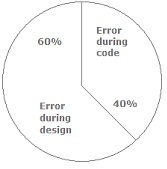 12.Are there more defects in the design phase or in the coding phase? 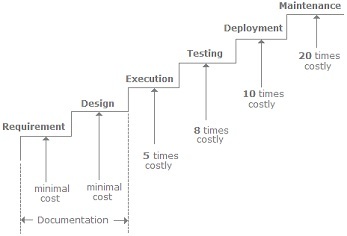 13.Should testing be done only after the build and execution phases are complete? 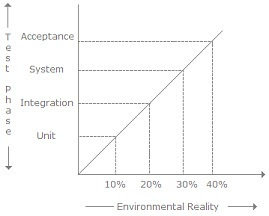 14.What's the relationship between environment reality and test phases? 15.What group of teams can do software testing? When it comes to testing everyone in the world can be involved right from the developer to the project manager to the customer. But below are different types of team groups which can be present in a project. -Outsource - we can hire external testing resources and do testing for our project. 16.How do test documents in a project span across the software development lifecycle? 17.Does an increase in testing always improve the project? 18.Which test cases are written first: white boxes or black boxes? 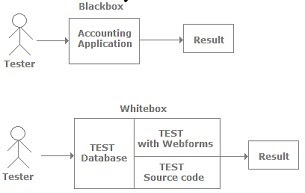 Normally black box test cases are written first and white box test cases later. 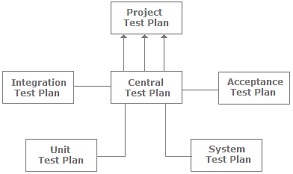 In order to write black box test cases we need the requirement document and, design or project plan. All these documents are easily available at the initial start of the project. White box test cases cannot be started in the initial phase of the project because they need more architecture clarity which is not available at the start of the project. So normally white box test cases are written after black box test cases are written. Black box test cases do not require system understanding but white box testing needs more structural understanding. And structural understanding is clearer i00n the later part of project, i.e., while executing or designing. For black box testing you need to only analyze from the functional perspective which is easily available from a simple requirement document. 19.What are different types of verifications? 20.What is a test log? The IEEE Std. 829-1998 defines a test log as a chronological record of relevant details about the execution of test cases. It's a detailed view of activity and events given in chronological manner. The following figure shows a test log and is followed by a sample test log. 21.Explain Unit Testing, Integration Tests, System Testing and Acceptance Testing? 22.What does entry and exit criteria mean in a project? For instance, you can define entry criteria that the customer should provide the requirement document or acceptance plan. If this entry criteria is not met then you will not start the project. On the other end, you can also define exit criteria for your project. For instance, one of the common exit criteria in projects is that the customer has successfully executed the acceptance test plan. 23.Can you explain requirement traceability and its importance? 24.What's the difference between alpha and beta testing? Alpha and beta testing has different meanings to different people. Alpha testing is the acceptance testing done at the development site. Some organizations have a different visualization of alpha testing. They consider alpha testing as testing which is conducted on early, unstable versions of software. On the contrary beta testing is acceptance testing conducted at the customer end. In short, the difference between beta testing and alpha testing is the location where the tests are done. 25.What is the difference between verification and validation? 26.How does testing affect risk? 28.What is coverage and what are the different types of coverage techniques? Statement coverage: This coverage ensures that each line of source code has been executed and tested. Decision coverage: This coverage ensures that every decision (true/false) in the source code has been executed and tested. 29.What is the difference between latent and masked defects? 30.What kind of input do we need from the end user to begin proper testing? We also need the requirement document from the customer. In normal scenarios the customer never writes a formal document until he is really sure of his requirements. But at some point the customer should sign saying yes this is what he wants. 31.What's the difference between System testing and Acceptance testing? System testing checks that the system that was specified has been delivered. Acceptance testing checks that the system will deliver what was requested. The customer should always do Acceptance testing and not the developer. The customer knows what is required from the system to achieve value in the business and is the only person qualified to make that judgement. This testing is more about ensuring that the software is delivered as defined by the customer. It's like getting a green light from the customer that the software meets expectations and is ready to be used. 32.A defect which could have been removed during the initial stage is removed in a later stage. How does this affect cost? 33.Can you explain the workbench concept? In order to understand testing methodology we need to understand the workbench concept. A Workbench is a way of documenting how a specific activity has to be performed. A workbench is referred to as phases, steps, and tasks as shown in the following figure. Input: Every task needs some defined input and entrance criteria. So for every workbench we need defined inputs. Input forms the first steps of the workbench. Rework: During the check step if the output is not as desired then we need to again start from the execute step. 34.Can you explain regression testing and confirmation testing? 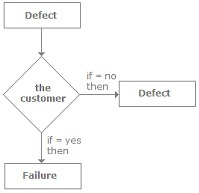 Regression testing is used for regression defects. 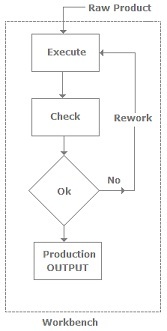 Regression defects are defects occur when the functionality which was once working normally has stopped working. This is probably because of changes made in the program or the environment. To uncover such kind of defect regression testing is conducted. The following figure shows the difference between regression and confirmation testing. If we fix a defect in an existing application we use confirmation testing to test if the defect is removed. It's very possible because of this defect or changes to the application that other sections of the application are affected. So to ensure that no other section is affected we can use regression testing to confirm this. 35.What are the different strategies for rollout to end users? Pilot: The actual production system is installed at a single or limited number of users. Pilot basically means that the product is actually rolled out to limited users for real work. Gradual Implementation: In this implementation we ship the entire product to the limited users or all users at the customer end. Here, the developers get instant feedback from the recipients which allow them to make changes before the product is available. But the downside is that developers and testers maintain more than one version at one time. 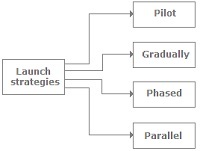 Phased Implementation: In this implementation the product is rolled out to all users in incrementally. That means each successive rollout has some added functionality. So as new functionality comes in, new installations occur and the customer tests them progressively. The benefit of this kind of rollout is that customers can start using the functionality and provide valuable feedback progressively. The only issue here is that with each rollout and added functionality the integration becomes more complicated. Parallel Implementation: In these types of rollouts the existing application is run side by side with the new application. If there are any issues with the new application we again move back to the old application. One of the biggest problems with parallel implementation is we need extra hardware, software, and resources. 36.Can you explain cohabiting software? 37.What is the difference between pilot and beta testing? 38.Can you explain the concept of defect cascading?